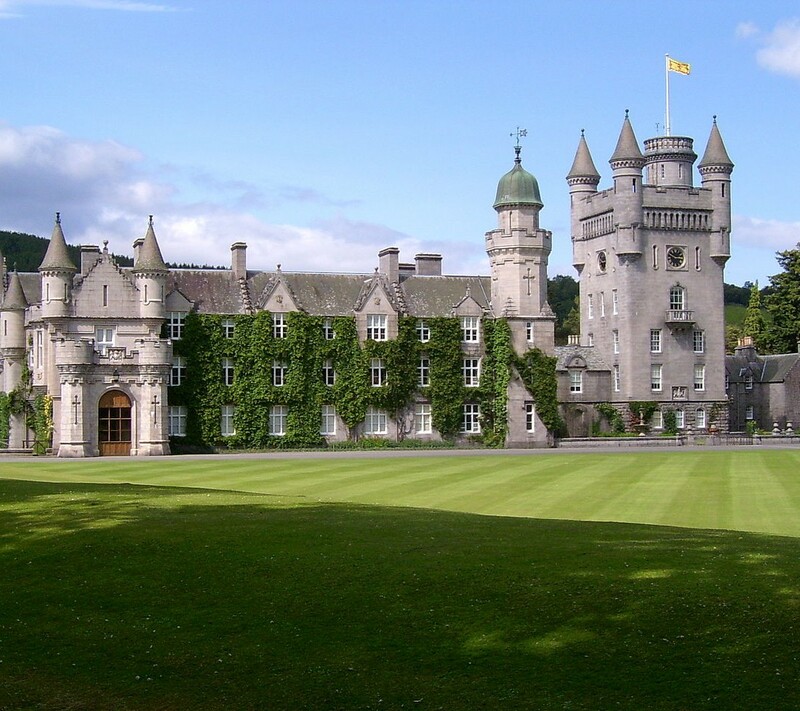 Balmoral has become synonymous with the British Royal Family and one queen in particular, Queen Victoria. She and her husband rented the castle in 1848 and bought it outright in 1853. 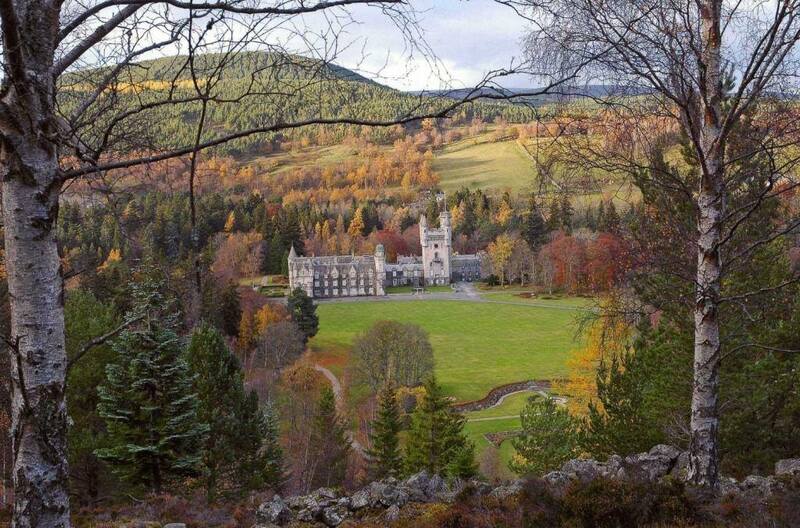 Balmoral sits just to the south of the River Dee which flows eastwards to Aberdeen, which is 50 miles distant. 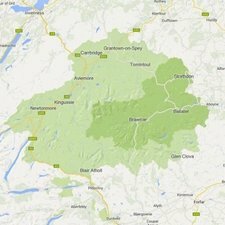 Royal Deeside, as the area is known, might not be what it is today if the Royal cruise up the west coast of Scotland in the 1840’s had not encountered such bad weather that they had to turn back. Queen Victoria and Prince Albert may have set eyes on Skye or Wester Ross and decided that was the place for them. Ardverikie Castle (halfway between Spean Bridge and Newtonmore) was also stayed in for a month in 1847 but the rain and possibly the midges drove the Royal couple eastwards to drier climes. 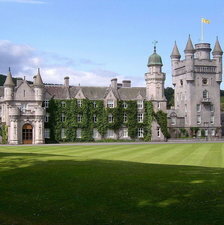 Balmoral is the Queen’s private residence and so has no visitor centre or public opening. Unusually you can walk in the hills near the castle when the Queen is in residence but you will doubtless meet a friendly and enquiring plain-clothed policeman who will advise an alternative route if you stray to close to the Castle! Balmoral is almost impossible to see from the road and you are not allowed to stop. However the attraction of Royal Deeside is not the built architecture but rather the natural splendour that surrounds it. Starting at the Pass of Glenshee you drop down to the village of Braemar, this road is an excellent place to see Mountain Hares and Red Grouse, but if you do stop to look make sure it is off the road. At Braemar you can head into the Cairngorms and if you are fit, walk in to the source of the Dee, the Wells o’ Dee, up in the Cairngorms. 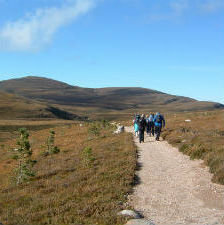 Or you can take a gentle walk through the pinewoods of the National Trust for Scotland’s Mar Lodge Estate. You can even rent an apartment there. In Braemar there is the Taste Cafe an excellent place to get some lunch or a great cake or two. The imposing 19th Century Fife Arms hotel is being refurbished but it will be open for 5-star business in 2017. Moving further on we come to Ballater the gateway to Glen Muick (pronounced mick), Loch Muick and the mountain of Lochnagar. The walk round the loch is a lot easier that the walk round up the mountain, but both are fantastic. In Ballater you can have a wander round the town and see many “by Royal Appointment” crests on many of the shops. The Brown Sugar cafe wins the award for the best cakes, it was hit by the floods this winter and is currently being refurbished but it will be open by the summer I am sure. Before or after cake you should climb the hill by Ballater, Craigendarroch, you get fantastic views from the top. Travelling further east you pass the Muir of Dinnet National Nature Reserve it has some great trails and the Burn o’ Vat is a great walk and has a fantastic glacial mill in the burn. 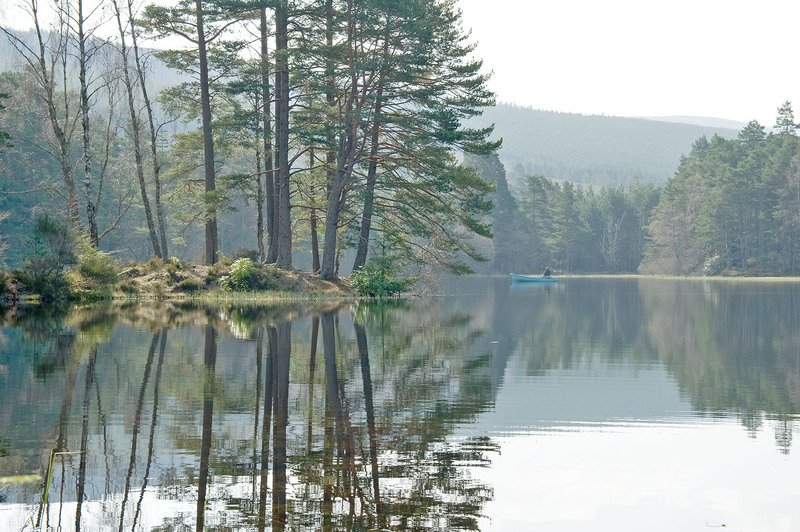 To the south of Muir of Dinnet there is Glen Tanar it has some of the best pinewoods in the eastern Highlands and is well worth a wander, the estate offers many fun activities. For me Royal Deeside ends around Aboyne and of course it ends with a great cafe, The Black Faced Sheep. Aboyne sits just to the north of the Deeside Way, a walking and cycling route that follows the bed of an old railway line. It starts and finishes in Aberdeen / Ballater. It was meant to go all the way to Braemar but Queen Victoria seemly objected to a train track going in front of her house so it stopped at Ballater. The line was open from 1856 to 1966. In 1996 enthusiasts re-opened one mile of line so you can travel by steam on Royal Deeside once more. If you would like to take a tour of Royal Deeside with a guide or driving yourself get in touch with us and we will give you a grand day out.